So my name for this recipe may be slightly adventurous but honestly I really think it is the best carrot cake recipe ever! Sometimes when I get carrot cake I find it can be quite dry and they just don’t hit the spot. This recipe is the complete opposite. 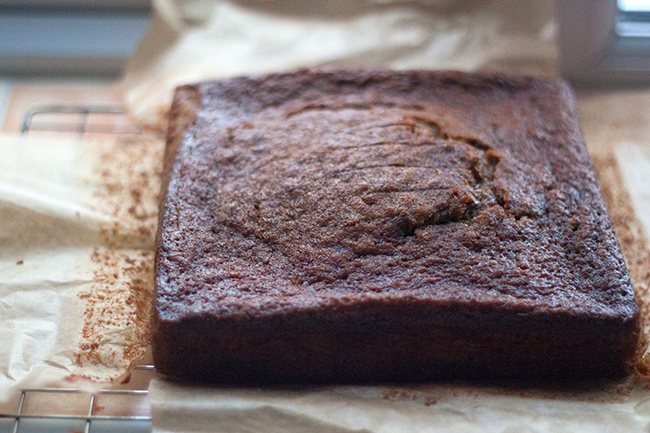 This carrot cake is so extremely moist and has a dark almost treacle taste to it. Simply gorgeous and will definitely hit the spot. I have adapted this recipe a few times and now I am satisfied. I first made it for my Grandmas 70th birthday and she loved it. Trust me my grandma has been cake making a long time and would tell me if it wasn’t right. When I made this carrot cake last I cut it in to huge slices which I halved for me and my family. We all ended up giving in to the other half of the slice, it is super moreish! 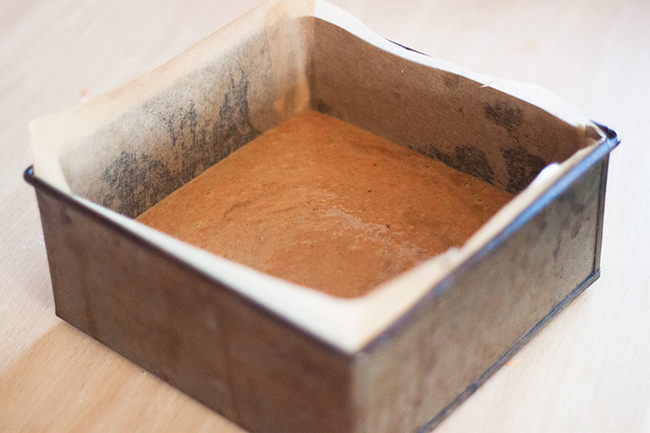 Preheat the oven to 180c and line a deep square baking tin. Beat together the sugar and oil for around 2 – 3 minutes. Add one egg at a time and mix in well each time. 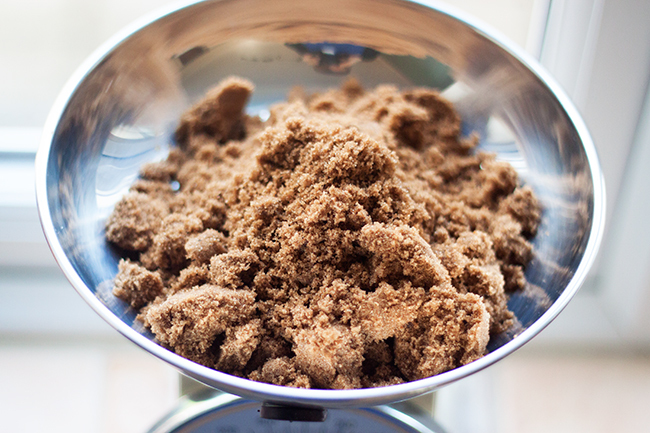 Sift the flour, baking powder, bicarbonate of soda, ginger, cinnamon and nutmeg over your mixture. Mix it all in well. 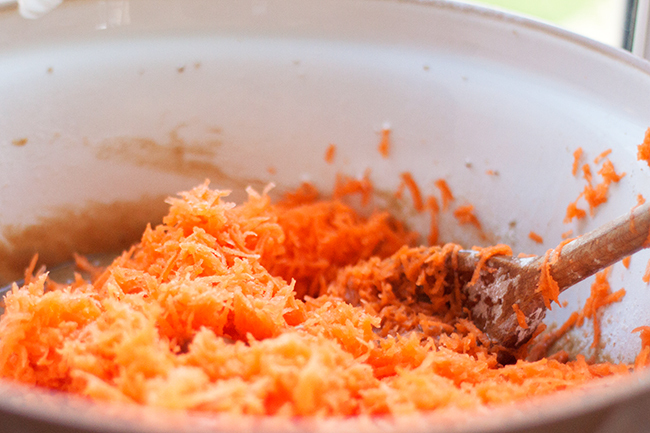 Add the grated carrots and give everything one final big mix. Pour your mixture in to your baking tin and bake for around 55-60 minutes. If you find half way through baking that the top is going to burn and the middle is uncooked then either place some baking paper over the top of the cake or turn your oven down and cook for slightly longer. Once cooked, leave to completely cool before icing.8. To make the icing simply scoop the cream cheese in to a bowl and sift in the icing sugar. Give it a mix and then spoon it on top of the cake, making sure all the cake is evenly covered. That’s it! 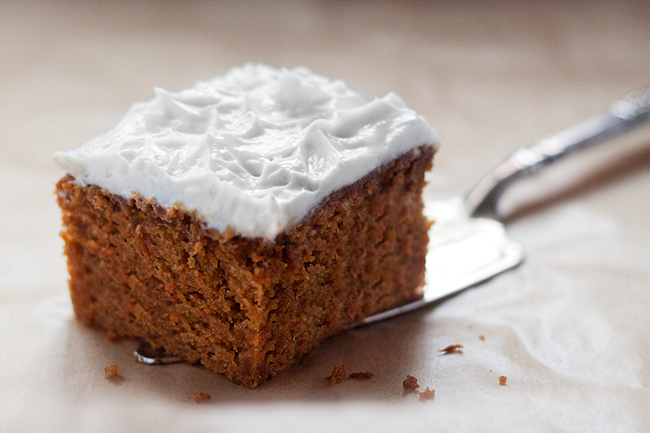 A gorgeous carrot cake recipe that i’m sure won’t disappoint!